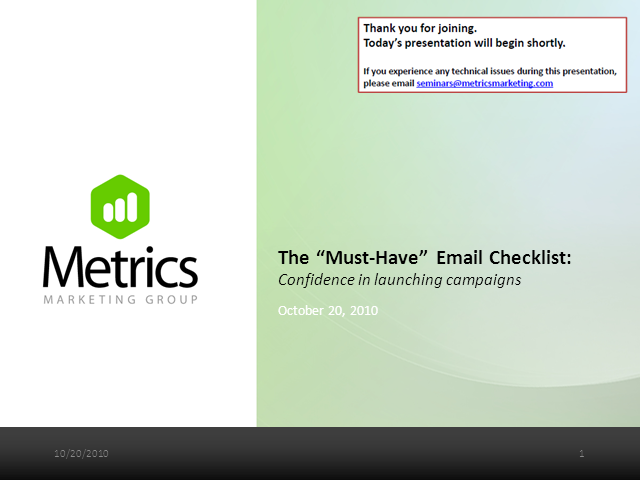 Do you want more confidence when you click the “launch” button on your emails? Have you ever wanted to take back an email after you sent it? This webinar will provide you the peace of mind of never having to say I’m sorry again. We will give you a well rounded checklist to make sure your emails pass the quality assurance test. You will be scrambling to take notes in this very practical webinar. But don’t worry, we’ll make sure you get a checklist as a follow up to the webinar.